The Antiques Roadshow Holocaust Special has been nominated for a BAFTA. 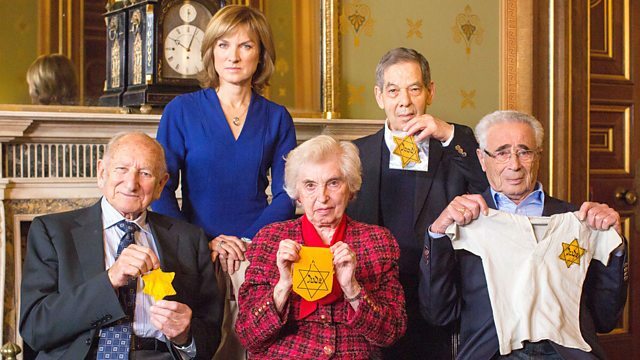 The popular daytime show, hosted by Fiona Bruce, ran a special hour-long edition in January to mark Holocaust Memorial Day, featuring broadcaster Natasha Kaplinsky. Items that helped share stories of the Shoah included family silver hidden from the Nazis, a pair of striped trousers worn in Auschwitz and a gold coin used by a family as vital currency when fleeing over the Pyrenees. The original concept for the programme came from Jewish News writer and columnist Jenni Frazer, before being taken on by the Government and BBC. The show is up for a BAFTA in the ‘Features’ category, competing against Channel 5’s ‘Cruising with Jane McDonald,’ Channel 4’s ‘The Secret Life of the Zoo’ and BBC 2’s ‘No More Boys and Girls,’ exploring whether children can go gender-free.